Join our family of friends of Beit Hatfutsot. Contributions to the American Friends of Beit Hatfutsot are tax deductible to the extent of the law. Beit Hatfutsot of America is the programmatic and institution-building arm of Beit Hatfutsot in North America. It is the conveyor of the vision and mission of The Museum of the Jewish People at Beit Hatfutsot, the transmitter of the content produced by Beit Hatfutsot, the vessel to bring to North America Beit Hatfutsot’s program offerings and exhibits; developing leadership for the enterprise; establishing strategic relations with compatible institutions and organizations such as museums, JCCs, synagogues, federations, Jewish learning centers, Israeli representatives, etc. American Friends of Beit Hatfutsot (AFBH), a not-for-profit 501(c)3 organization representing the interests Beit Hatfutsot, as a resource development vehicle. It provides support to the ongoing and prospective programs and exhibits of Beit Hatfutsot. An evening with distinguished teachers and authors, Naomi Harris Rosenblatt and Prof. Nili Gold featuring the books they wrote about their birthplace and its historic significance, its values, diversity and topography. 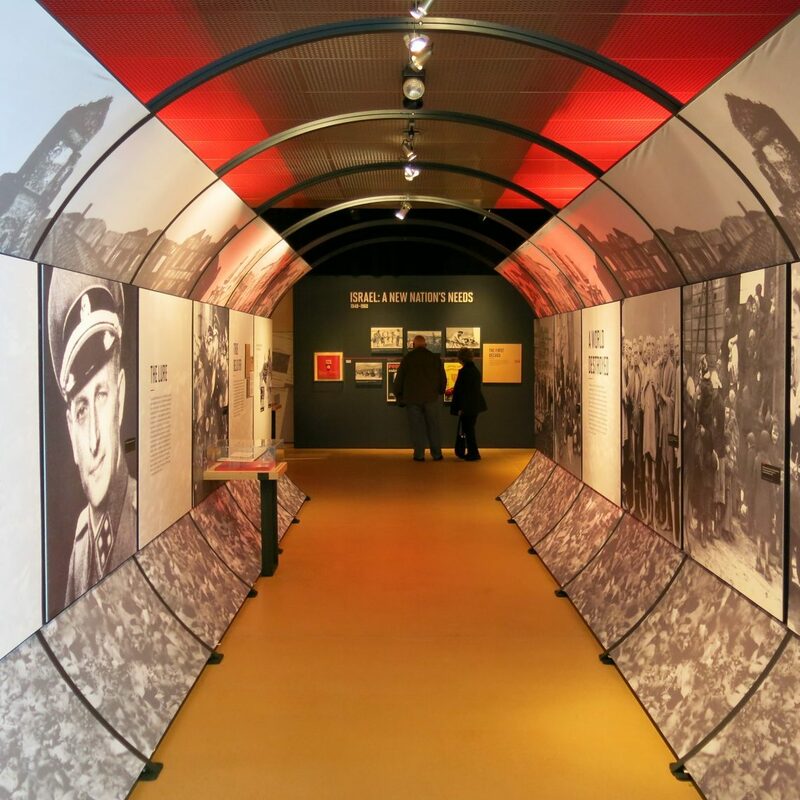 This seminal exhibition created by Beit Hatfutsot in collaboration with the Mossad and produced in partnership with Cleveland’s Maltz Museum of Jewish Heritage, where it opened, continues to tour the United States for the third year. After a successful run at the Illinois Holocaust Museum and Education Center, it traveled in 2018 to the Museum of Jewish Heritage in New York, the exhibition traveled to the Florida Holocaust Museum in St. Petersburg, FL and is currently on view at the Holocaust Documentation and Education Center in Dania Beach, Florida. On June 15 it will open in the renewed Houston Holocaust Museum and from there will travel in October to The National WWII Museum in New Orleans, Louisiana. Thanks to an ongoing generous grant from the Covenant Foundation, Beit Hatfutsot of America launched Curating Your Family Story, a new iteration of My Family Story, Beit Hatfutsot’s flagship experiential educational program, to select museums, JCCs and innovative Jewish learning centers. The program brings together families from different parts of the Jewish community, including the unaffiliated. The program continues to expand in the United States. The pilot for the program was initiated in Atlanta GA at The William Breman Museum of Jewish Heritage creating the model for other entities. The Stroum JCC implemented the program in the summer of 2018, utilizing two approaches: On a weekly basis over a period of time and as an intensive week-during summer camp. The students created artistic family trees and maps that charted the journey that each family took to Seattle. The project’s importance derives from its geographical and institutional diversity, as well as an educated selection of synagogues that led to a successful mixture of architectural jewels with buildings boasting centuries of uninterrupted spiritual history while covering the entire array of Jewish religious denominations, from traditional Orthodox to contemporary progressive congregations. The choice of photos and their disclosure on the website represents a major contribution to the preservation of Jewish heritage. 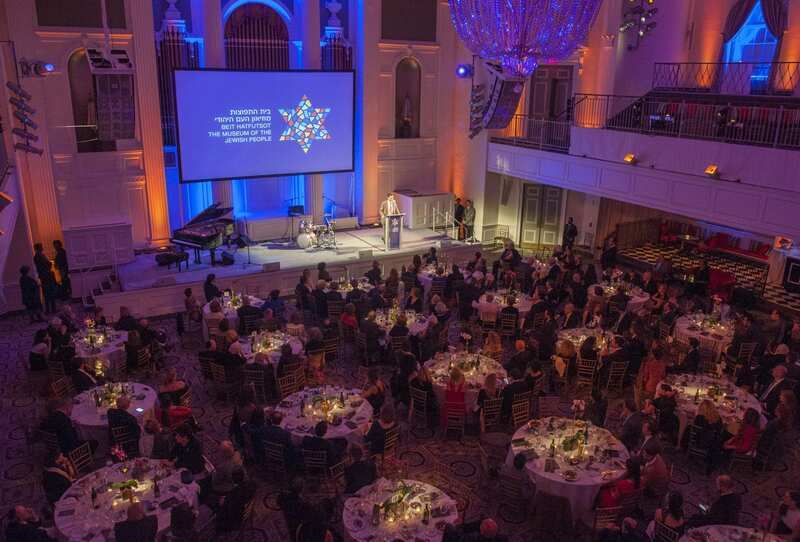 Friends of Israel and Beit Hatfutsot gathered on January 9, 2018 for a memorable event launching the celebration of Israel’s 70th Anniversary and Beit Hatfutsot’s 40th Anniversary. The evening was held in conjunction with Operation Finale: The Capture and Trial of Adolf Eichmann, Beit Hatfutsot’s the Mossad and the Maltz Museum of Jewish Heritage’s landmark exhibition on view at The Museum of Jewish Heritage in New York. The story of Mohammed Al Samawi would have ended differently if not for the commitment of prominent Jewish leaders, including Daniel Pincus, President of the American Friends of Beit Hatfutsot, and numerous organizations who saved him. The story of Mohammed’s rescue underscores how the lessons of the Shoah continue to shape Jewish identify and activism. 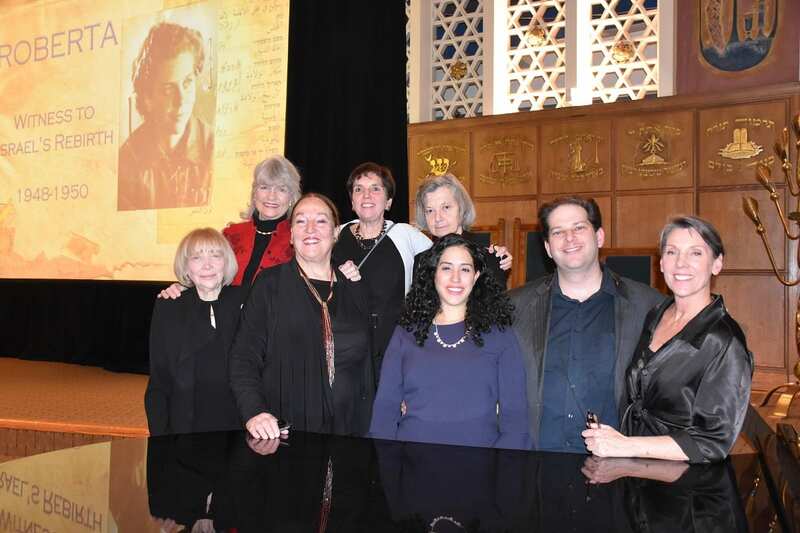 Beit Hatfutsot of America co-sponsored this program at the Center for Jewish History with the American Sephardi Federation, Center for Jewish History, The Muslim Jewish Advisory Council and other organizations. Prof. Nathaniel Laor, Professor of Philosophy, Psychiatry and Medical Education of Tel Aviv University preceded the panel with a moving tribute to the legacy of Leon H. Charney. Prof. David Myers, former President and CEO of the Center for Jewish History moderated the distinguished panel: Dr. Aaron J. Koller, of Yeshiva University; Dr. Marjorie Lehman, of the Jewish Theological Seminary; Prof. Shaul Magid, Professor of Religious Studies at Indiana University and Alana Newhouse, Editor and Founder of Tablet Magazine. The lively conversation focused on the historical connections between Israel and world Jewry, through relations today and into the future. The evening concluded with a musical performance “Breath and Hammer” by David Krakauer on clarinet and Kathleen Tagg on piano. Bucharest Diary: Romania’s Journey from Darkness to Light, is a fascinating book by Alfred H. Moses, former Ambassador to Romania and Co-chair of Beit Hatfutsot Board of Governors. Alfred Moses, who worked diligently for the release of Jews from communist Romania during the Carter Administration, was appointed Ambassador to Romania by President Clinton. Beit Hatfutsot celebrated the publishing of the book by the Brookings Institute, along with the Institute for National Security Studies (INSS). 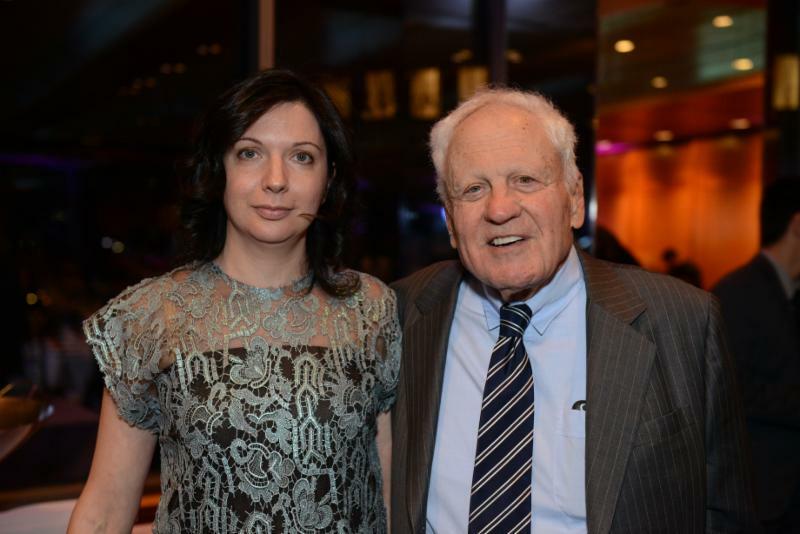 Ambassador Moses was interviewed by Itamar Rabinovich, Israel’s former Ambassador to the U.S. The book offers Ambassador Moses’ personal perspectives and analysis on Romania’s transition from communism to democracy, the resilience of the Jewish community both in Romania and in other part of the communist world, the weight American Jewry assigns to the value of “Kol Israel Arevim Zeh L’Zeh,” the impact of a Jewish diplomat and leader on the fate of a Jewish community and international affairs. The program was interesting, profound and entertaining. 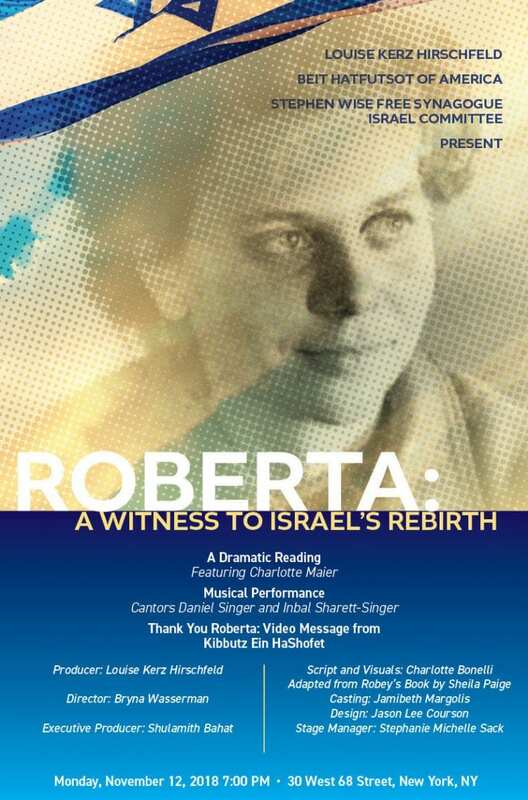 Beit Hatfutsot of America in conjunction with Louise Kerz Hirschfeld and Stephen Wise Free Synagogue’s Israel Committee presented this dramatic reading and musical performance based on the life of New York native Roberta Hodes who on June 6, 1948 fresh out of Vassar College, made her way to Israel in the midst of its War of Independence. Against her parents’ wishes, she volunteered to serve for two years in the IDF where she was assigned to its Film Corps. Upon her return to the US in 1950 she began a long and distinguished career in the film industry later teaching film at New York University for over 15 years. 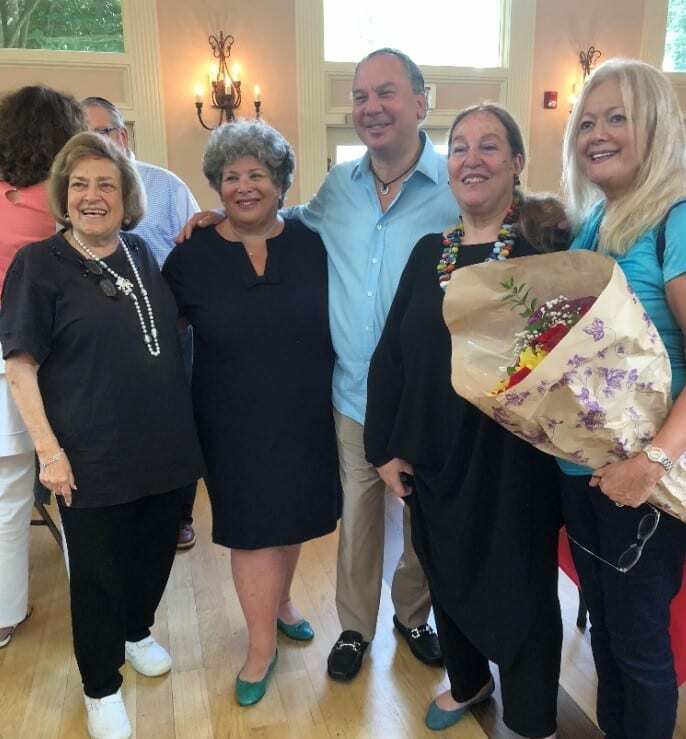 Award winning Broadway actress Charlotte Maier read from Hodes’ diary and Cantors Daniel Singer and Inbal Sharett Singer led the audience in singing Israeli songs from that era. The spontaneous dancing of the Hora concluded this stirring and spirited event. 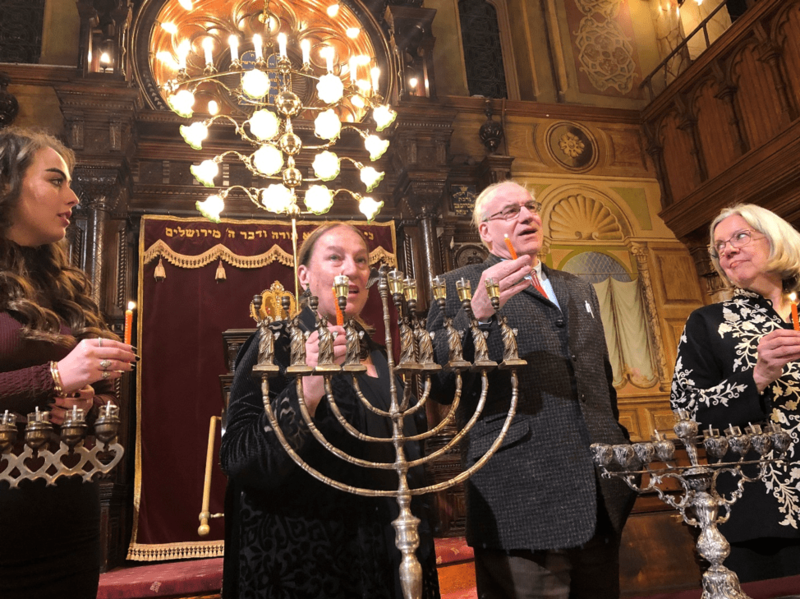 Beit Hatfutsot of America co-sponsored this exhibit which presented the Aaron Ben Zalman remarkable collection of menorahs, spanning the globe and more than five centuries. Hanukah celebrations worldwide reflect the unity of the Jewish People, but the style of the holiday menorahs, known as Hanukiot, demonstrate the diversity and unique cultures and traditions of Jewish communities. Within the Museum of Eldridge Street’s vibrant landmark sanctuary, Hanukiot from 17th-century Italy and 19th-century North Africa are displayed alongside those from Colonial America and modern-day Israel, India, Brazil, Poland, and the Netherlands. Each Hanukia’s design tells a story of its origin and those who used it. The Museum of the Jewish People at Beit Hatfutsot hosted a magnificent celebration of Jewish humor radiating with the rich content of “Let There Be Laughter: Jewish Humor Around the World,” the blockbuster exhibition currently on display at the Museum. It was a unique event demonstrating the brand values of a renewed Beit Hatfutsot. Our vision, mission and programs have engaged and excited all those in attendance on Monday, December 17, 2018 at Manhattan’s Mandarin Oriental.